Live surrounded in the magical forested woods of Incline Village, NV. Mountain Shadows condo complex features 2-3 bedroom condominium homes that range from 1100 to 1700 square feet. Most of these condos include high beamed ceilings, fireplace/woodstove/pellet stoves, separate/formal living rooms, ceiling fans, and decks. 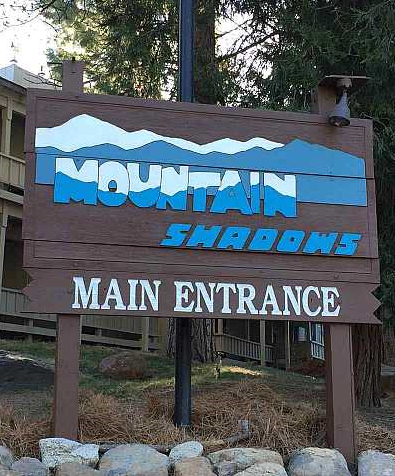 The Mountain Shadows complex was built in 1970 and has had many renovations and upgrades since then. Enjoy the location of your Mountain Shadows condo which is less than one mile to the Lake Tahoe shore, private beaches, and boat launch! Also just minutes by car to nearby shops & restaurants of the town centre and also the Hyatt Casino and Resort. Also available for residents use - the community gym, pool, ski area, and tennis courts.